Edward Uhler Condon was born in Alomogordo, New Mexico on March 2, 1902. His father built railroads and the family moved about the western United States as his work required. Because of his family's movements young Condon attended many different schools. Condon developed an early interest in astronomy, sparked by the 1910 appearance of Haley's Comet and read everything he could on the subject. Later, in high school, he developed an interest in electronics and with the help of his high school physics teacher, William H. Williams, was able to make a number of electrical instruments. After graduating from high school he took a job working as a reporter for the Oakland Enquirer where he reported on labor unions. When his journalism was used to falsely convict labor activists he gave up journalism and went to the University of California at Berkeley to study physical science. Initially Condon studied chemistry at Berkeley, but when his old high school teacher W. H. Williams took a job in the physics department at Berkeley, Condon switched to physics. Condon excelled in physics, earning his bachelors in three years and then going directly to graduate work, earning his PhD in 1926. For his thesis he outlined what has come to be known as the Franck-Condon Principle. When the elctrons of a molecule are excited the nucleus remains in the same position. The electron will jump up energy levels and then fall back, emitting electromagnetic radiation, but he nuclei of the molecule or atom remains relatively stationary. At the time an doctorate in physics was not complete without a trip to Germany to study quantum mechanics, which at the time was quickly being discovered. Condon received a National Research Council fellowship and made the trip to Germany in the fall of 1926. While there he studied under Max Born and was soon overwhelmed by the unprecedented pace at which new developments in quantum mechanics were being published. In 1927 he took a job writing popular science for Bell Laboratories. In 1928 he took a position as a lecturer at Columbia University, where he taught graduate level classes on quantum mechanics and electromagnetic radiation. In 1927 Condon took a position as an associate professor of physics at Princeton University. During the years at Princeton Condon co-wrote with Philip M. Morse the first English language treatment of quantum mechanics, published in 1929, and with G.H. Shortly he wrote Theory of Atomic Spectra, a primary text on the subject, published in 1935. In 1937 Condon became associate research director at the Westinghouse Electric Company, where he brought the company into the nuclear age. He briefly worked on the Manhattan project, but resigned because he disagreed with the reading and censorship of personal letters. Afterward Condon worked at Berkeley on the problem of separating uranium-235 from uranium-238. 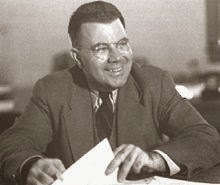 In 1945 Condon was appointed director of the National Bureau of Standards (now known as the NIST). During his time at the NIST Condon was dogged by questions about his loyalty to his country. In 1951 Condon was forced to testify before the United States House Un-American Activities Committee. The scientific community widely supported Condon and during his troubles with the HUAC Condon was elected president of the American Association for the Advancement of Science. Condon also served as the president of the American Physical Society. Condon worked as a professor of physics at Washington University in Saint Louis, Missouri from 1956 to 1963 and at the University of Colorado at Boulder from 1963 to 1970. Condon retired in 1970. Condon died on March 26, 1974.